I WAS TWENTY-EIGHT YEARS old in 1974 when I got involved with my first major construction project. The once great Commodore Hotel, located right next to Grand Central Station, was a total mess. There had been a time when the Commodore was one of the greatest hotels in the world, but the hotel and the whole neighborhood had become run-down. A lot of the buildings in the area were already in foreclosure, and many of the stores were boarded up. The exterior of the Commodore was filthy, and the inside was so dark and dingy that it felt like the building was on the verge of becoming a welfare hotel. It was a dying building, in a dying neighborhood, in a struggling city. I probably was still too young to know better. But you know what—I was the same person then that I am today, up for any challenge. I had total confidence in my ability to get great things done. But today I have the added benefit of truly great experience. 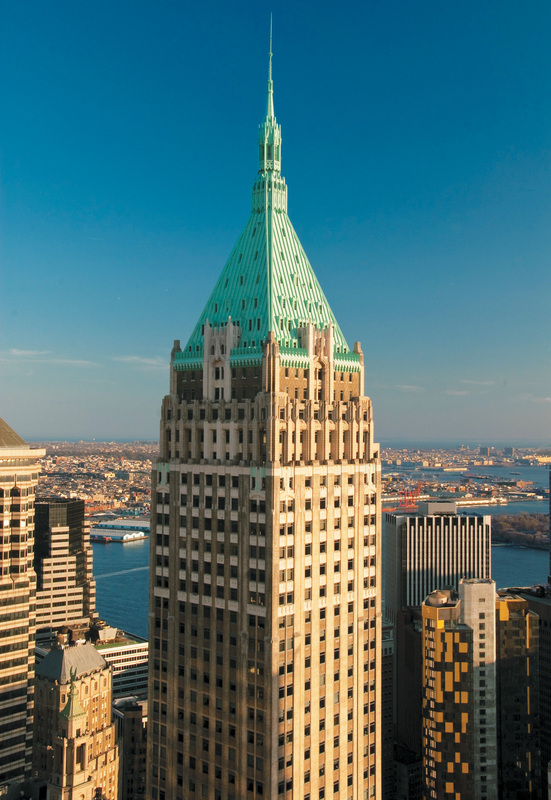 When I looked at the Commodore, I saw its potential—it would be the largest hotel renovation in New York City during the latter part of the twentieth century. The neighborhood still had possibilities as well. Right in the heart of the Grand Central area, there were thousands of people walking by the hotel every day. I didn’t have enough money to finance the deal myself, and I might not have risked it even if I had the money to do so. All kinds of very smart real estate investors told me it wouldn’t work. And yet I had a vision of what could be done, so I never gave up. My enthusiasm and meticulous planning brought others to the table. I’m an unstoppable force when I’m excited, and I was in full Trump mode on this project—and many others since then. During the years it took me to put this deal together, I learned a lot about working with the city and the banks, the construction industry and the unions. I could have just refurbished the existing structure, but that’s not the way I think. There were detractors all along the way. For instance, the preservationists were angry about my creating a new and beautiful glass exterior façade. Inside, I gutted all of the floors and replaced them with the best available materials. The hotel, the Grand Hyatt, has been successful since the day it opened in 1980. 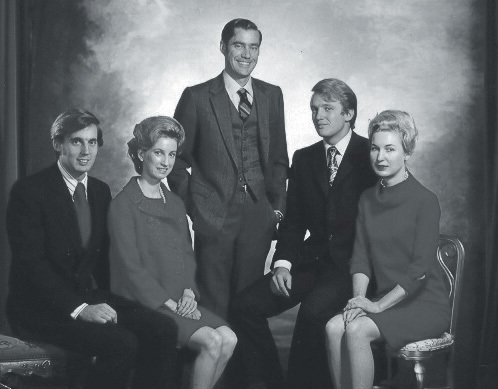 It became the foundation for the restoration of the entire Grand Central neighborhood as well as my calling card—introducing the Trump quality brand to the people of New York. That project marked the first time I took a large-scale failing property and made it great again. As part of that deal I fixed up the great Grand Central Terminal itself—it looked beautiful and clean again. I’ve done it over and over again in the thirty-five years since—and now for the really big and important one: our country. We can take a crippled country and make it great again. Our country has been allowed to languish and become a tarnished, second-class place in the eyes of the world. The challenges ahead are many. The naysayers from the media and the political establishment are out there because they fear any changes to the status quo from which they benefit. Most important, we need to reinvigorate the American dream and give our country back to the millions of people who have labored so hard for so little. Too many Americans are wondering (and who can blame them) what happened to this nation’s great promise and the idea that each generation makes things better for their children. Candidates for political office always say they’re running on their record. Unfortunately, their records are made up of them talking about what they’re going to do, rather than them getting things done. Our nation’s capital has become the center of gridlock. It seems like these days most of the energy in Washington is being spent deciding whether we’re going to keep the government operating or not. No surprise there: Washington’s been running a going-out-of-business sale for a long time. It’s no wonder that our president and Congress have such low ratings in the polls. No wonder that we’ve lost our influence and the basic respect of both our allies and enemies throughout the world. Meanwhile, the Supreme Court has decided in their infinite wisdom to fill the breach by making social policy rather than defending our most precious historic assets, the US Constitution and the Bill of Rights. We have three branches of government, but the trunk of that tree is rotting away. But then I realized I couldn’t stand what I was seeing. I couldn’t believe the hypocrisy and inaction of Washington “insiders” who wanted to keep the gravy train flowing in their direction, while outside the Beltway, Americans were suffering and they were rightfully angry about the lack of leadership and creativity. So when I spoke up, the media squawked, the politicians cringed, and the special interests realized that their days of influence were numbered. A lot of people tried very hard to paint a bleak picture of what would happen. Then the American people spoke. The crowds started coming to my rallies in droves. We had to move our rallies into football stadiums and basketball arenas, while my competitors could barely fill small rooms. The national debates drew huge audiences—more than 24 million viewers—because our citizens felt hopeful again and wanted to hear what I had to say. And what I have been saying is that it is time to do everything necessary to Make America Great Again. It begins by creating millions of good jobs for hardworking Americans. The Economic Policy Institute estimates we’ve lost more than five million jobs since 1997 because of the terrible trade deals we’ve made. Those jobs are coming back home. We’ve created too many jobs—in other countries. Our military must be by far the greatest in the world, so when we negotiate deals with countries like Iran, we do it from strength. And when our soldiers come home, they must receive the care they have earned. This is the one national debt we should be thrilled to pay. A great wall on our southern border must be built. It needs beautiful doors in it to welcome LEGAL immigration, but the flood of illegal immigrants must end. And we need to legally stop the practice of birthright citizenship; the Fourteenth Amendment was never intended to create a technical path to citizenship. Most Native Americans, for example, although they were born here, were not automatically granted citizenship—and it took almost 150 years before a law was passed making them citizens if they wanted to be. And the Second Amendment was created to make sure Americans could protect themselves from tyranny. There is no way we will change it. A revised revenue-neutral tax code—which conservative writer and commentator Wayne Root described as “close to perfect”—will put money back in the pockets of the people who need it most; and when you spend it—instead of the government—you’ll be creating American jobs. It will encourage corporations to spend their earnings here, resulting in even more new jobs. Our educational system needs to better prepare our children and retrain adults to succeed in the new digital marketplace. No one knows how to do that better than local communities. The federal government should not be telling local schools how to educate our children. Common Core will be dead. Obamacare needs to be repealed and replaced with a sensible health care system that creates a competitive marketplace, which will reduce costs while providing for the medical needs of all Americans. We can create tens of thousands of new jobs by rebuilding our collapsing infrastructure. These are the real shovel-ready projects: Roads, bridges, tunnels, and tracks have to be replaced or repaired before they crumble, and this will also put many thousands of people to work. The most powerful people in Washington are lobbyists and special interest groups, whose money funds most elections and buys them influence. That has to stop, and electing someone who doesn’t take their donations is a good first step. We must have a viable energy policy that uses our abundance of resources to power America back to economic prosperity. You can believe what I say, because to see what I’ve accomplished, all you need to do is take a nice walk through the greatest cities of the world—and look up. Look up, and you’ll see the Trump buildings rising skyward. I’ve done things that nobody else has done. 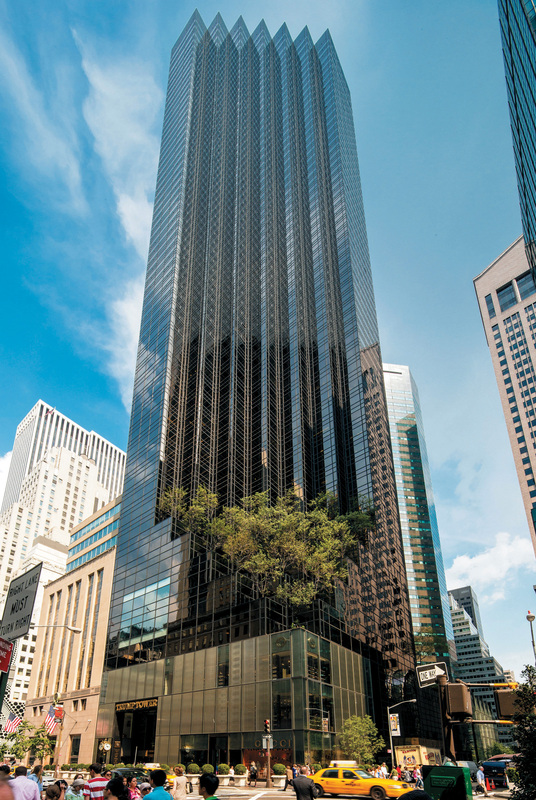 The 68-story Trump Tower, on Fifth Avenue right next to Tiffany’s, was the tallest entirely glass-exteriored building in Manhattan when it opened in 1983. That helped pioneer the modern luxury-building industry. One of the things I’m most proud of about that building is that the person I put in charge of overseeing construction was a 33-year-old woman. I made that decision in 1983, when the fight for gender equality in business was really beginning. None of the people who whine about the way I talk to women mention the fact that I voluntarily promoted gender equality in a male-dominated industry. The women who work and have worked for me will vouch for the fact that I was as demanding of them as I was of their male counterparts. That’s the kind of “gender equality” we need: Leadership that inspires the best in people, male or female, not a wishy-washy former secretary of state who doesn’t understand the lunacy of having her own private e-mail server. Laying off thousands of workers and leaving companies in a mess is also not an accomplishment, at least not one to be proud of or to pretend qualifies you to run our country. I always think big. I start with a plan to build the biggest, the most beautiful, and the highest-quality projects. If you don’t begin with big dreams, you can never fulfill them. 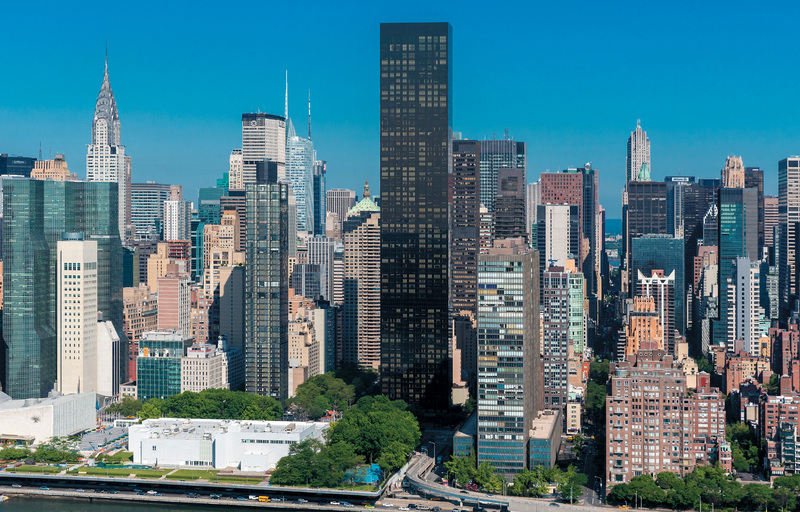 Trump buildings are all over New York, from 40 Wall Street to the West Side Railway Yards. 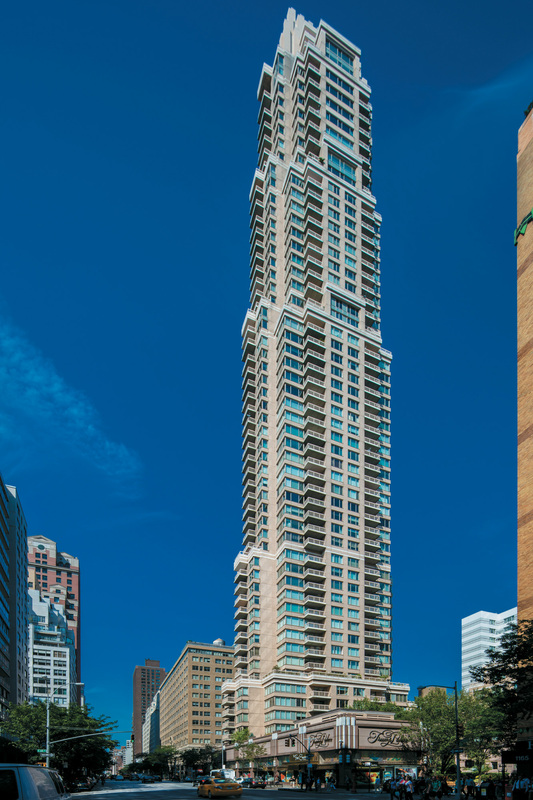 From Columbus Circle to the Trump Palace on the East Side, and downtown to the SoHo Condominiums. Eventually, we started building outside the city, and currently the Trump name is on buildings in nine states, from New York to Hawaii, from Florida to Washington, and in ten other countries, from Uruguay to India. Many large-scale and even massive projects are in the pipeline and ready to roll. 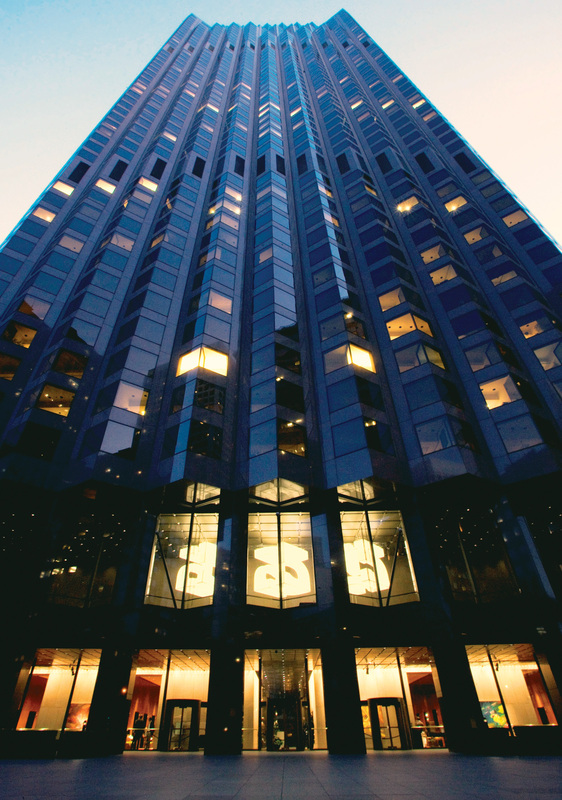 At 52 stories tall, 555 California Street is the second-tallest building in San Francisco, and the largest in terms of usable floor space. Originally the Bank of America’s world headquarters, that building has been used in films, including Dirty Harry and The Towering Inferno. It would certainly make anyone’s day to be in it. Trump World Seoul consists of six condominium buildings throughout Seoul and its neighboring cities. The glass-clad Trump Tower at Century City, featuring 220 condos, is one of the tallest buildings in Manila, Philippines. The 72-story Trump Ocean Club in Panama City is Panama’s first five-star development. We’re building luxury hotels and residences all over the world. We’re representing the best of America throughout the world with some of our best hotels and projects ready to be announced. 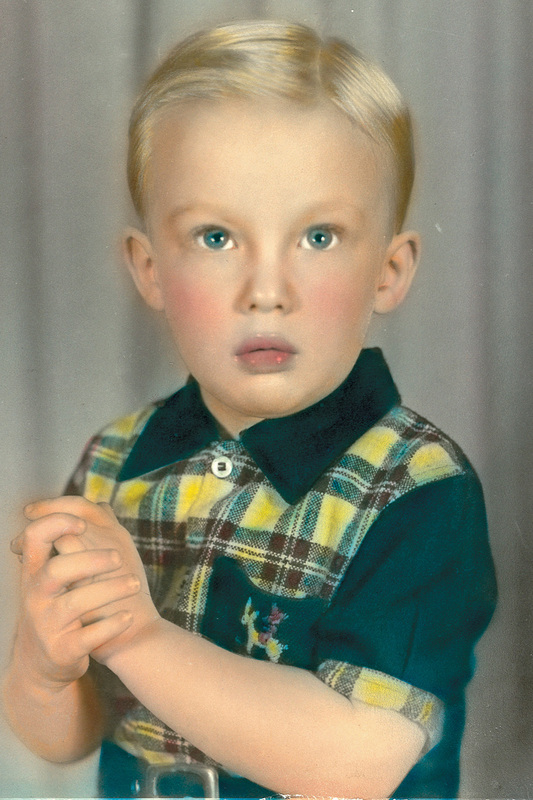 I understand “foreign policy” from the practical standpoint: I know how to make deals, bring foreign governments to the table, and negotiate deals that don’t give everything away. In fact, the Chinese have their biggest bank in Trump Tower. They want to be part of Trump wherever they can. That’s why when I hear politicians talking about some trade bill they voted for or how they balanced the budget, I really have to laugh. Maybe they have political experience, but they certainly don’t have common sense or real-world experience. Every construction project, every deal, is totally unique. Each project is an unbelievable balancing act; I have to bring together the business community, the financial community, and the local officials. I’ve learned to work with great architects and designers. I’ve worked out deals with the unions and the trades. I care about every detail. I read the small print, unlike the negotiators of the Iran nuclear “agreement,” who don’t seem to know what’s in the “side deals,” which Iran struck with the agency that is supposed to be responsible for verifying Iran’s compliance. 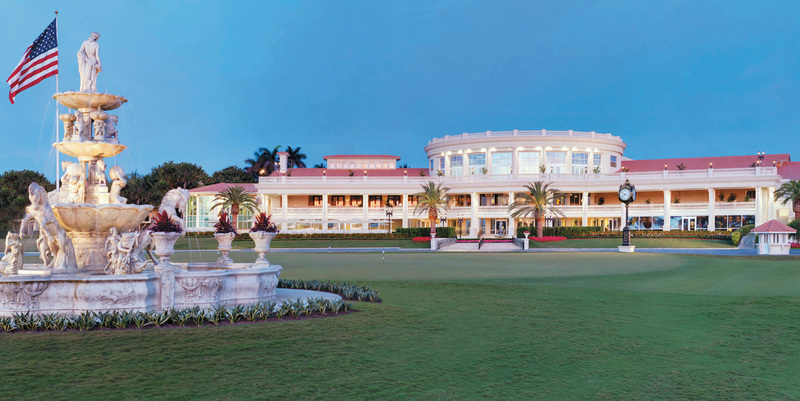 When it came time to expand, I got interested in golf resorts. When I was a kid, my father would take me golfing with him. He didn’t play much, but he had a beautiful swing. I looked around, and who did I see on the golf courses? Successful people; great businesspeople. What were they doing as they played? They were talking about deals. I couldn’t begin to guess how many great deals were made on a golf course. So I decided to build the best golf courses and resorts in the world, and that’s what we’ve done. People think it’s hard to create a building? Try putting in a new golf course in New York City. 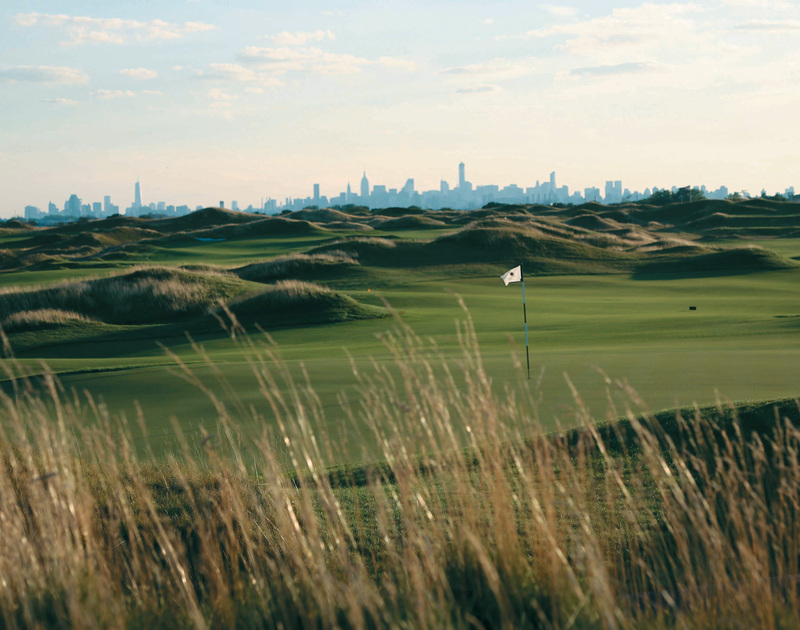 In 2015 we opened Trump Golf Links at Ferry Point in the Bronx, and it instantly became one of the greatest public golf courses in the world. It’s the first public golf course opened in New York in over half a century. It was under construction for many years—a real mess. Nobody else could get it done. People were running in the other direction. Nobody wanted to take on this project’s completion. The city had wanted a golf course built for decades, but nobody could figure out how to do it. After the politicians had screwed up this deal for many years, they brought in a businessman, me, to clean up their mess. I created a magnificent golf course. It’s been a huge success for the city and for the Trump Organization. I promised that golfers would come from all over the world to play a round of golf in the Bronx, and that’s exactly what has happened. I don’t just want to bring golfers to America. We need to bring all kinds of businesses back to America, especially those that are American-owned. Full employment means we don’t have 20 percent of the population either out of work or underemployed. Full employment means that every new worker can feel good about going home to his or her family with the pride of having done a hard day’s work. Full employment benefits unions and employers; together they can rebuild our country’s infrastructure. Full employment means that people who are now mortgaged beyond their means can get out from under the oppressive burden of worrying if their homes are secure. As credit loosens up from banks, the new and renovated housing industries will boom as well. We are at a critical turning point in our history, not only for you and me but for our children as well. America may be struggling, it may be crippled, but we can rise again. Our time has not passed, it is here, and the potential is amazing. America’s best days are still to come. Why? Because of our people. 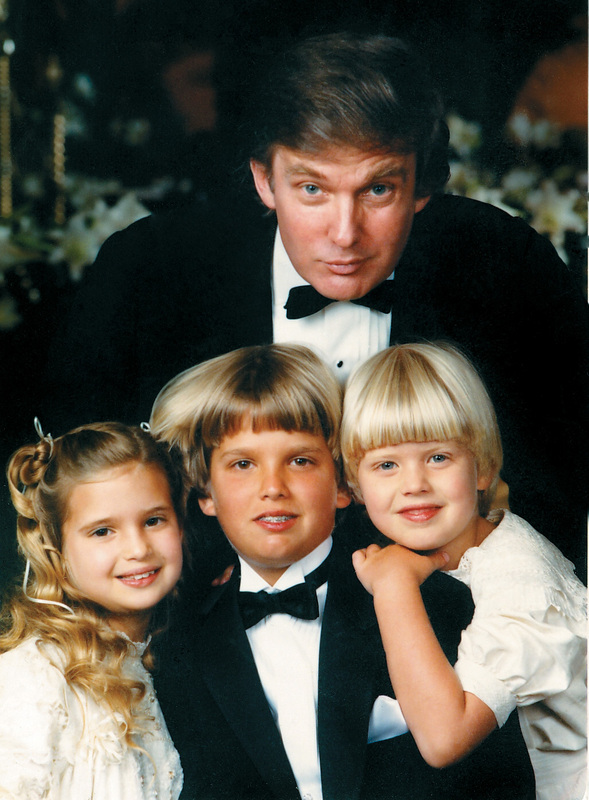 Together we can Make America Great Again. 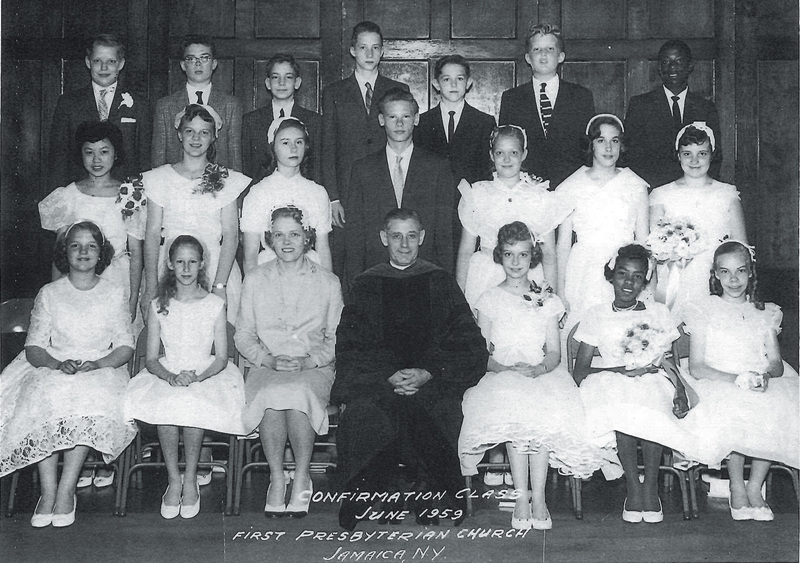 At my confirmation—First Presbyterian Church, Jamaica, New York. I’m top row, second from the right. 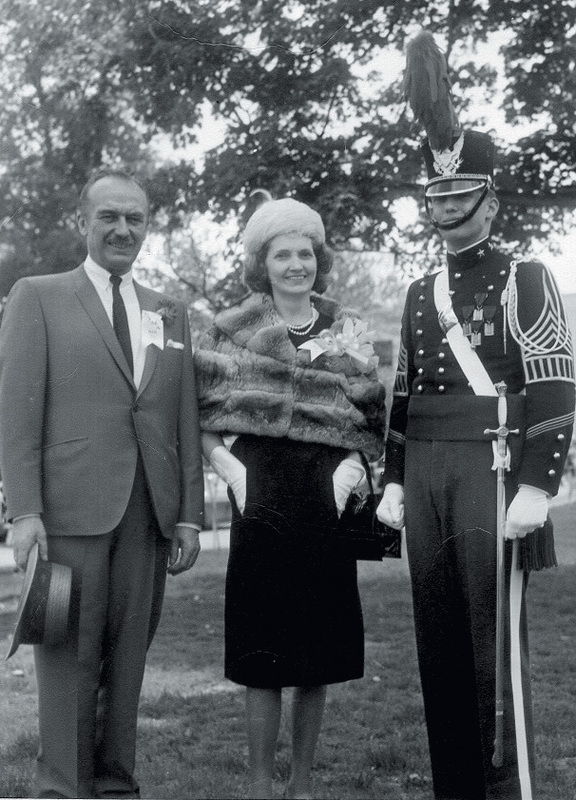 My father and mother, Fred and Mary, at my graduation from New York Military Academy. 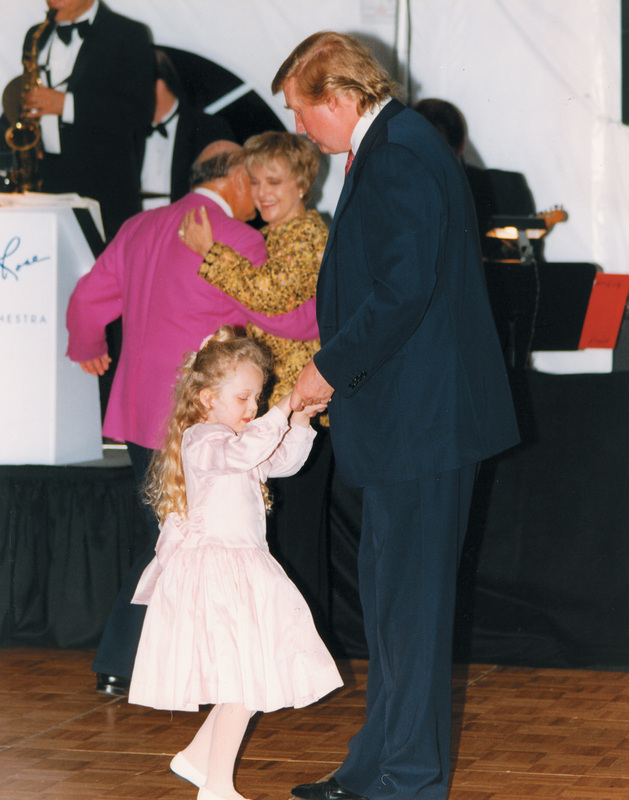 Dancing with my daughter Tiffany at Mar-a-Lago. 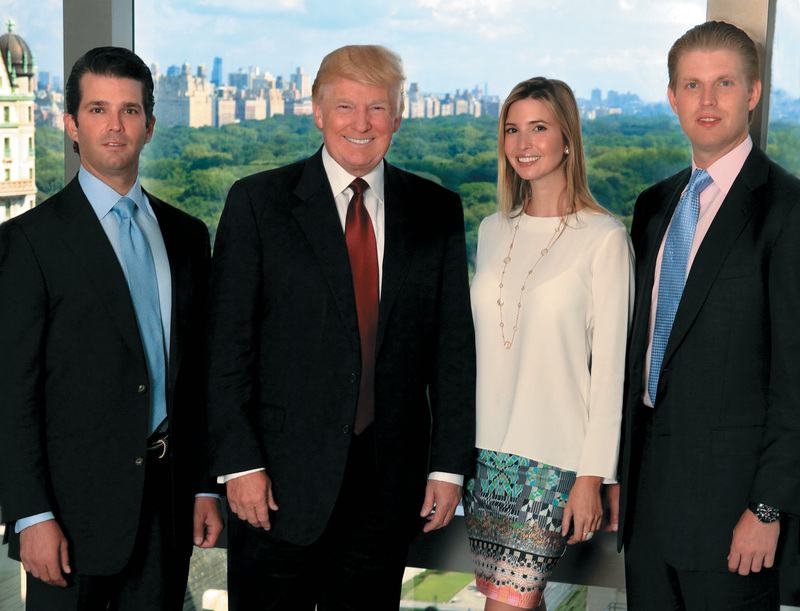 With Ivanka, Don, and Eric. 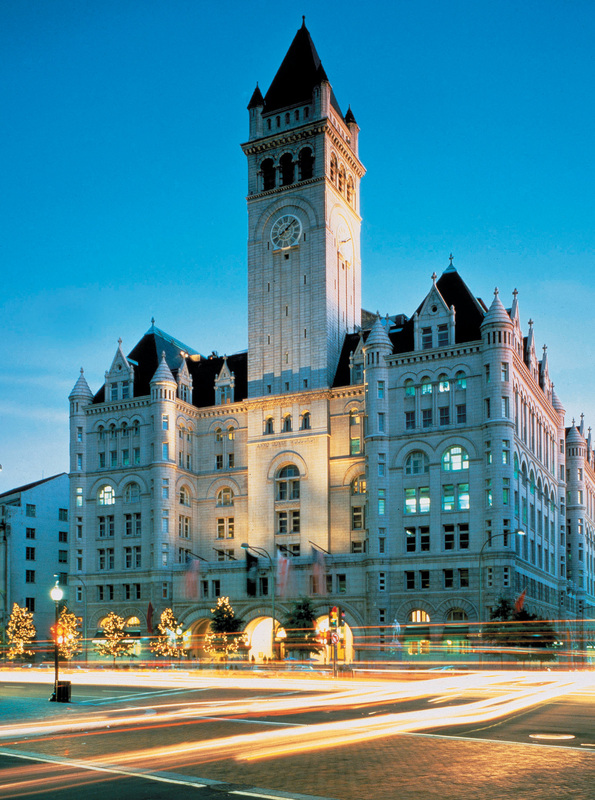 Trump International Hotel on Pennsylvania Avenue in Washington DC, under construction. Formerly this was the Old Post Office. The Trump Building at 40 Wall Street opposite the New York Stock Exchange. Trump International Hotel & Tower, One Central Park West. Trump Tower, adjoining Tiffany’s (whose air rights I purchased), between 56th Street and 57th Street on Fifth Avenue. 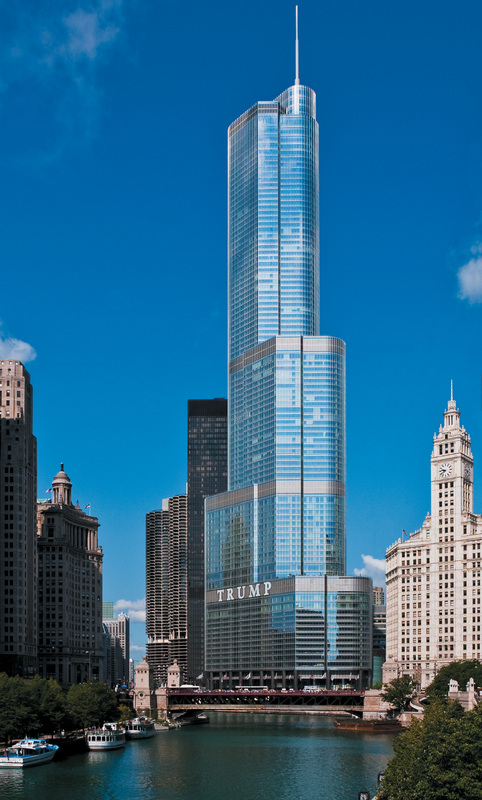 Trump International Hotel & Tower on the river in Chicago. The Bank of America Building, San Francisco. 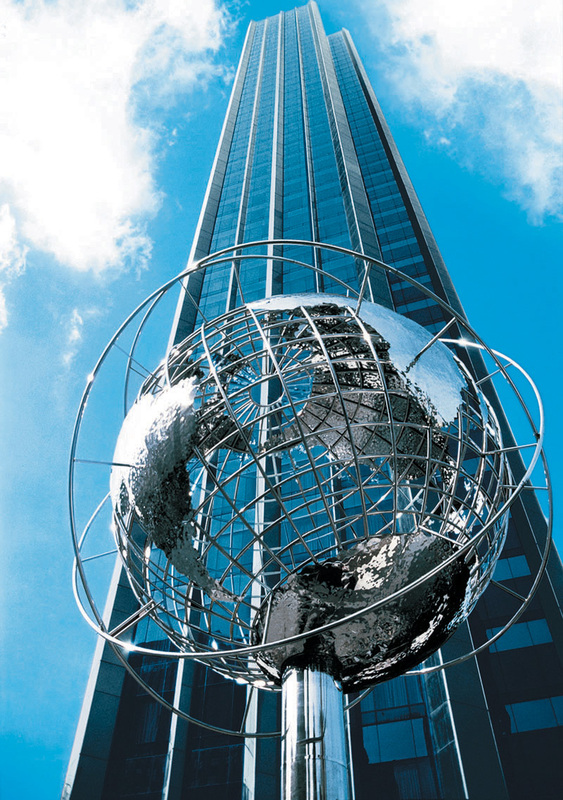 Trump World Tower—90 stories, opposite the United Nations. With my sisters and brothers. Left to right: Robert, Elizabeth, Fred Jr., me, and Maryanne. Trump Golf Links at Ferry Point. 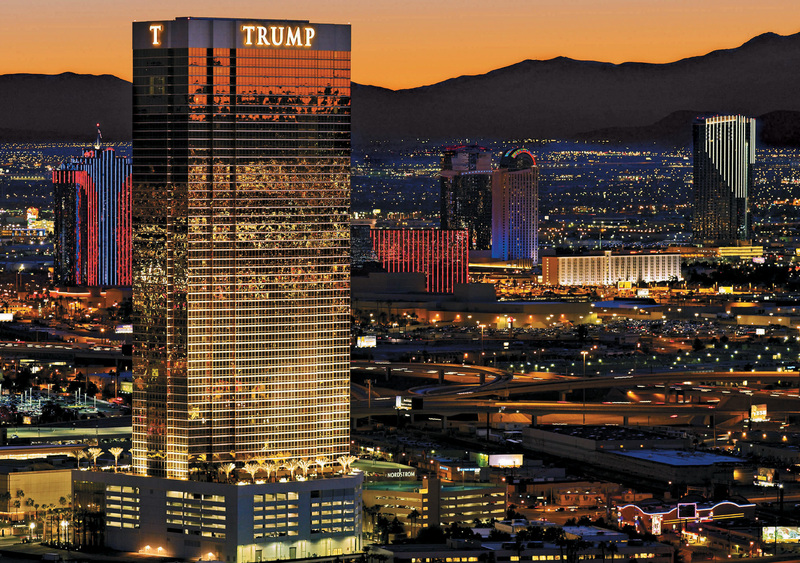 Trump International Hotel in Las Vegas—Las Vegas’s tallest building. 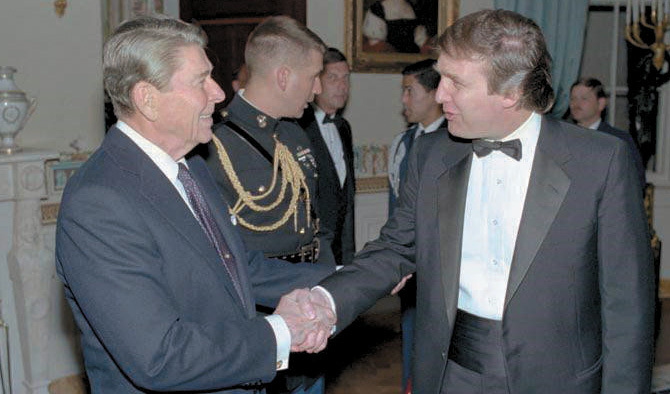 With President Ronald Reagan, a great guy, at the White House. With my beautiful wife, Melania. 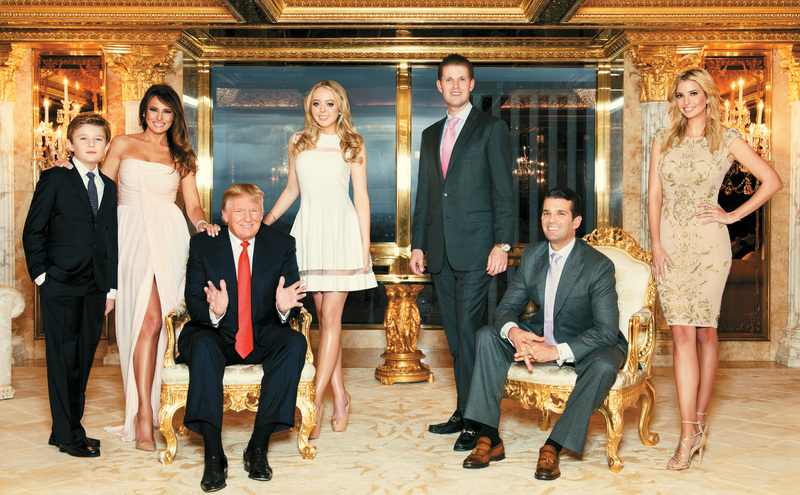 At the office with Don, Ivanka, and Eric.